April 7 will mark the 20th anniversary of the genocide in Rwanda. If Americans recall this event at all, it will be visualized through the opaque glass of Hotel Rwanda -- a movie that created a star out of whole cloth in the person of hotel manager Paul Rusesabagina, played by Don Cheadle. But was Rusesabagina the "hero" filmmaker Terry George immortalized on film in the aftermath of the slaughter of over one million Tutsis and moderate Hutus? Or was Rusesabagina collaborating with the enemy? 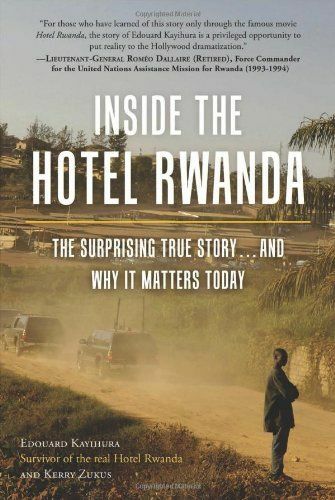 Inside the Hotel Rwanda: The Surprising True Story... and Why It Matters Today revisits the terrible days of April 1994 through the testimonies of those who took refuge in the once up-scale hotel that was reduced to a refugee camp where the only water came from the chlorinated swimming pool. Author Edouard Kayihura, with co-writer Kerry Zukus, capably expose the lies offered by Hollywood. Hollywood has done this before. 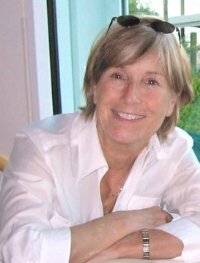 Generation X believes that Oliver Stone's conspiracy film JFK is fact rather than creative speculation, and Gorillas in the Mist did tremendous damage to the reputation of Dian Fossey, inventing events that never occurred. Hollywood myth-making sells tickets, but does irreparable damage to the historical record. Kayihura's book about the events inside the real Hotel Rwanda is a critical contribution to history. The memoir is riveting, especially his detailed account of how he managed to avoid gendarmes and lie his way through roadblocks by saying he lost the identity card that would identify him as Tutsi. Had he been identified, he would have been marked for death and his body added to those stacked like cordwood alongside roads and in ditches. I would be shot where I stood, for no one, no organized entity, was standing in the way of public killings. This was now an urban combat zone with a government in total chaos, being led only by an ideology of mass murder. But it is Kayihura's account of the testimonies of hotel survivors and his own recollections that serve as a forensic blueprint for truth. The hero hotel manager is exposed as a Hutu extremist and bully who stooped to stealing money from the refugees, charging them for free food offered by humanitarian organizations, cutting phone lines and threatening to turn over anyone who defied him to the genocidaires. The movie needed a hero, but why choose the duplicitous, cowardly Rusesabagina? General Romeo Dallaire (played by Nick Nolte) was reduced to a composite figure named "General Oliver." Audiences have been completely duped, say the real survivors. According to the narrative, screenwriter and Harvard alum Keir Pearson told Harvard Magazine in 2005 that a friend told him about Rusesabagina, whom he had heard about while living in Tanzania in 1999. At that time, Philip Gourevitch's book, We Wish to Inform You That Tomorrow We Will Be Killed With Our Families, hit the bestseller lists. It included an interview with Rusesabagina, and screenwriter Pearson was fortuitously handed a "story" on a silver platter. But screenwriters are not journalists. 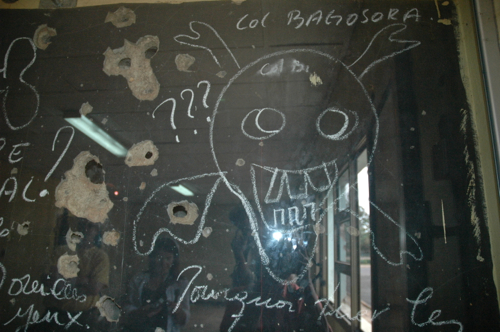 By the time Pearson found Rusesabagina, the former hotel manager was working as a taxi driver in Brussels. Since then Rusesabagina has been compared to Oskar Schindler and Gandhi, commands high fees as a speaker, and has established a foundation. He also owns homes in several countries, including one in the United States in Texas. Inside the Hotel Rwanda exposes Rusesabagina as a carnival barker shouting his own delusional accomplishments, and reveals a sinister genocide denier who is paid substantially for saying the genocide never took place. He is now the president of a Rwandan opposition party, PDR-Ihumure. According to the testimony in this book, Rusesabagina has established a non-profit, American-based foundation, but not one dime has made it to orphans in Rwanda. Press reports corroborate the author's claims that foundation donations are possibly redirected to arming the FDLR anti-Tutsi rebel group operating in eastern Congo and that Rusesabagina was arrested and questioned on these charges in Brussels in 2011. Inside the Hotel Rwanda is a riveting account of the tenacity of survivors in the face of evil. If you want an account of how love can truly conquer all, read this book. Learn how the refugees shared last scraps of food and hid cookies found in the hotel storerooms. Rusesabagina charged them exorbitant prices for scraps even after hotel management in Brussels sent a fax demanding that all food was free to the over 1,000 trapped in the no-man's land between life and death. Get angry over the beer and wine that Rusesabagina shared openly with murderous genocidaires who visited with him regularly in full view of the refugees who were drinking poisonous swimming pool water out of garbage pails.